Brand management is important and sometimes trademarking terms or phrases, even seemingly silly ones, to make people associate those words with your product is key. At least that's what I imagine is going on with Square Enix trademarking the phrase "HD-2D," a marketing descriptor for last year's Octopath Traveler. 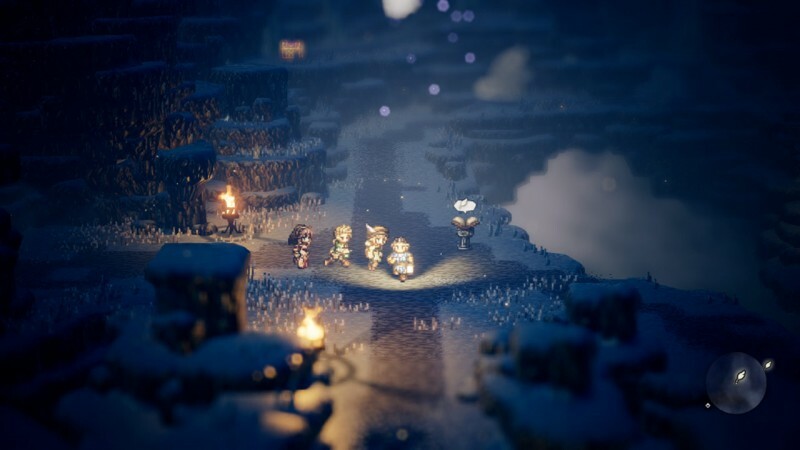 The words were first used in a Nintendo Direct, where Square Enix described the art style of Octopath Traveler's mix of 2D and 3D. Now Square Enix seeks ownership of this phrase. It is important to note, they're only looking to own the term "HD-2D," not the actual art style. Most courts have ruled that you can't actually trademark an art style, so they'd be out of luck there if they actually tried. It does, however, mean that Square Enix is likely interested in doing more with Octopath Traveler's art style in the future and wants to employ the same term for marketing use again. This could end up being a sequel, a new project by Acquire, or perhaps a remake of older classics using the traditional though modern style Octopath employed. Last year, the company told us that Square Enix is dedicated a division primarily for Switch games, which would dovetail nicely with this idea. You can read our review of Octopath Traveler right here.